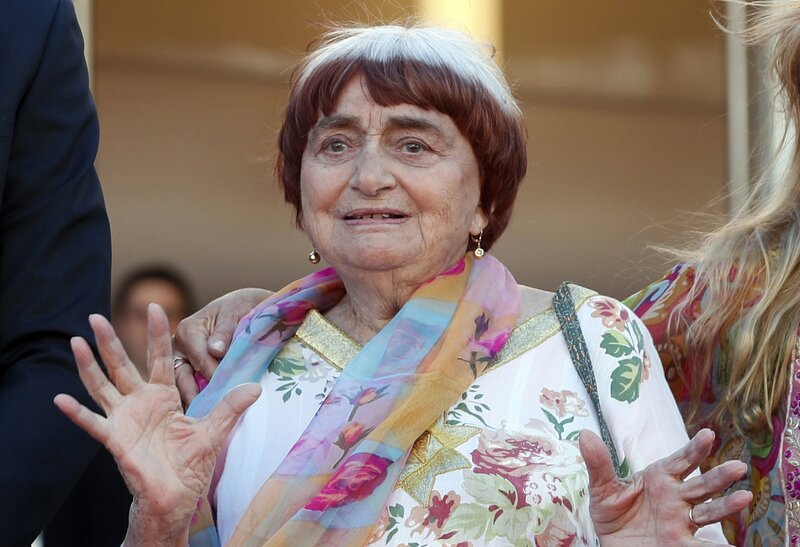 NEW YORK — Agnes Varda, the French New Wave pioneer who for decades beguiled, challenged and charmed moviegoers in films that inspired generations of filmmakers, has died. She was 90. Varda’s production company, Cine-Tamaris, said Varda died early morning Friday at her home in Paris from cancer. With a two-tone bowl haircut, the Belgian-born Varda was a spirited, diminutive figure who towered over more than a half century of moviemaking. Her first film, made at the age of 27, “La Pointe Courte,” earned her the nickname Grandmother of the New Wave, even though she — the sole woman among the movement — was a contemporary of its participants, including Jean-Luc Godard and Jacques Demy, whom she later married. A photographer-turned-filmmaker, Varda’s films fluctuated between fiction and documentary, often blurring the line in between. Her 1962 breakthrough, “Cleo From 5 to 7,” followed a glamorous woman (Corinne Marchand) in real time across Paris while she awaited results of a cancer exam. In her 2017 Oscar nominated road trip “Faces Places,” she traversed the French countryside with the street artist JR, pasting giant images of people they encountered on building facades. Varda’s films quickly became feminist landmarks and she a champion of women behind the camera. One of the only female filmmakers in France when she started, she led an insurgency that continued, in greater number, through her life. At the 2018 Cannes Film Festival, she helped preside over a protest for gender equality on the red carpet steps of the festival’s central Palais with 81 other women. At the premiere of what she called her “feminist musical,” ″One Sings, the Other Doesn’t,” in 1977, she introduced “a film about women who were also people.” Her “Vagabond,” which won the Golden Lion at the Venice Film Festival in 1985, followed a young female drifter (Sandrine Bonnaire) discovered dead in a freezing ditch. Arlette Varda was born in Brussels, Belgium on May 30, 1928 to a French mother and Greek father. Varda, who later changed her name to Agnes, started as a photographer after studying literature and arts. In 1951, she was appointed official photographer of the Theatre National Populaire, and remained in that position for the next decade. In 1954, well before Godard and Francois Truffaut became the emblematic figures of the New Wave, Varda’s first movie, “La Pointe Courte,” followed a couple going through a crisis in the small port of Sete on the Mediterranean coast. The movie was cut by Alain Resnais but was regarded as too radical at the time and only had a limited release. Varda contrasted the young couple’s story with the local villagers’ struggle to survive, eventually linking the two seemingly disparate ways of life. She made several documentary shorts, but inadequate funds prevented Varda from making her next feature, “Cleo From 5 to 7,” until 1961. Backed by French businessman Georges de Beauregard, who had supported Jean-Luc Godard’s “Breathless,” the film studied Cleo’s evolvement from a shallow pop star to an authentic human being capable of understanding pain in herself and others. The widely hailed “Cleo” built anticipation for her next film, “Happiness,” which won the Silver Bear award at the 1965 Berlin Festival. Varda married Demy, the “Umbrellas of Cherbourg” director, in 1962 and two were married until his death in 1990. They worked separately but alongside each other, regularly occupying opposite sides of the courtyard of their Paris home. She and Demy had two children together: Mathieu Demy and Rosalie Varda, who both found career in French filmmaking. Varda is survived by both. One of those documentaries, the 2000 film “The Gleaners and I,” is considered by some her masterwork. Documenting people who live off the garbage thrown out by others, it’s a meditation on waste and reuse, art and death.